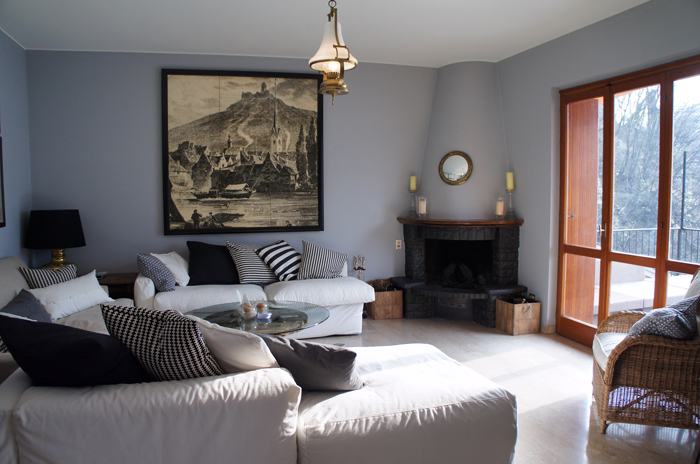 Good rental investment - this property rents for €200 per night. 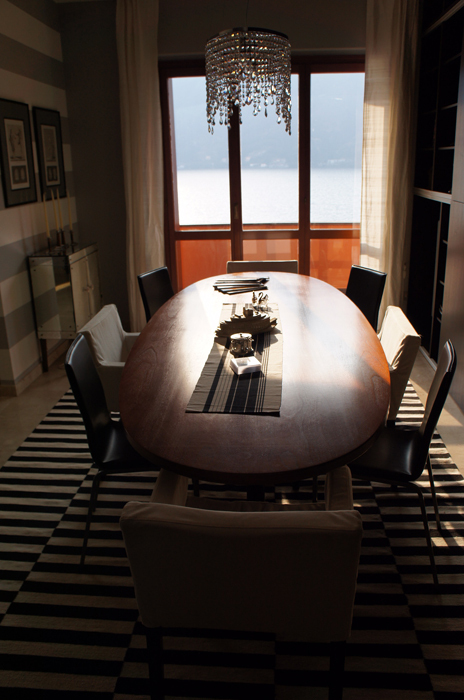 Set in a tranquil and very private bay directly on the lakefront in Nesso we offer this beautifully furnished apartment with private terrace, boat house and garage. 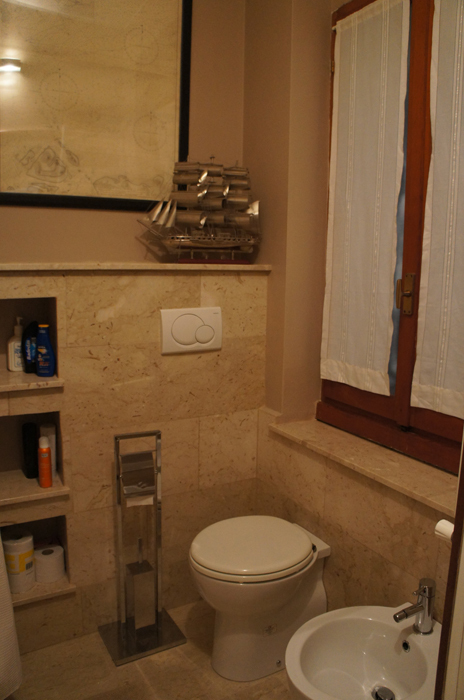 The 3 bedroom apartment is one of 4 apartments is a small condominium in Nesso. 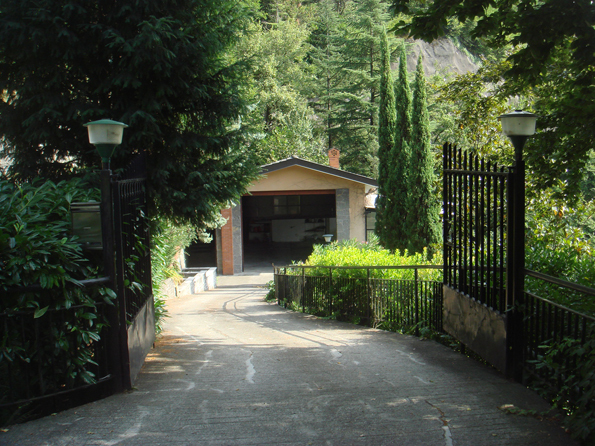 The apartment is easily accessible from the road linking Como to Bellagio and a private, gated driveway leads to the covered parking area with a parking space dedicated to the apartment. 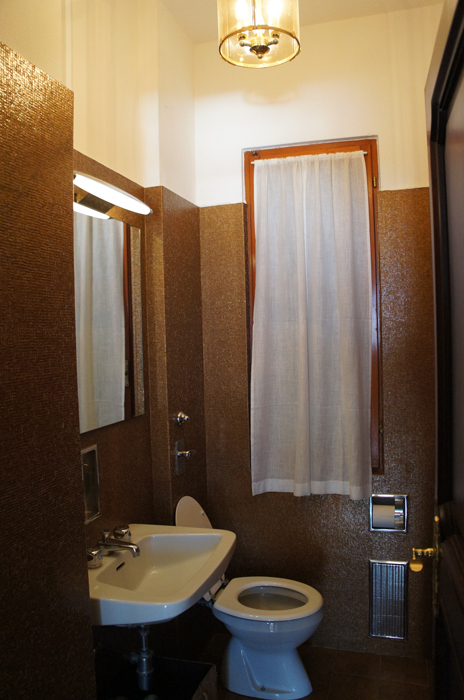 The 150sqm apartment is accessed via a short staircase and is on the 3rd floor (actually ground floor from entrance level) of the apartment building. 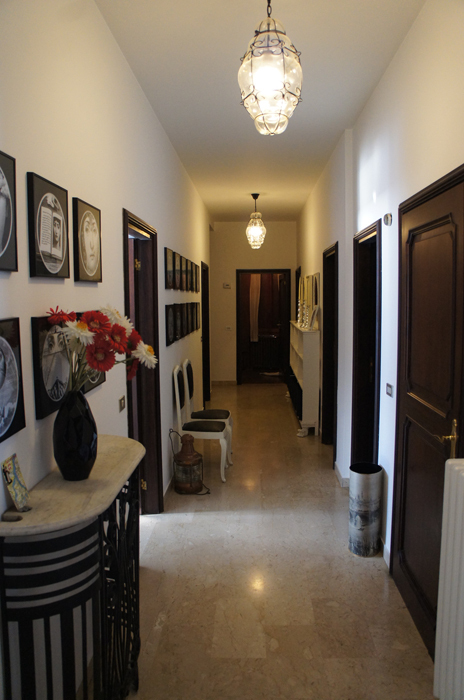 The apartment is on a single level and is entered via a communal staircase into a generous entrance hall. From the entrance hall one can enter the independent fully fitted out kitchen, double living room and dining room with fireplace and direct access onto the 20sqm terrace, 2 double bedrooms with direct access onto the balcony, a third double bedroom/ study, master bathroom with bath and shower, WC, third bathroom with large walk-in massage shower and storage room/ laundry. 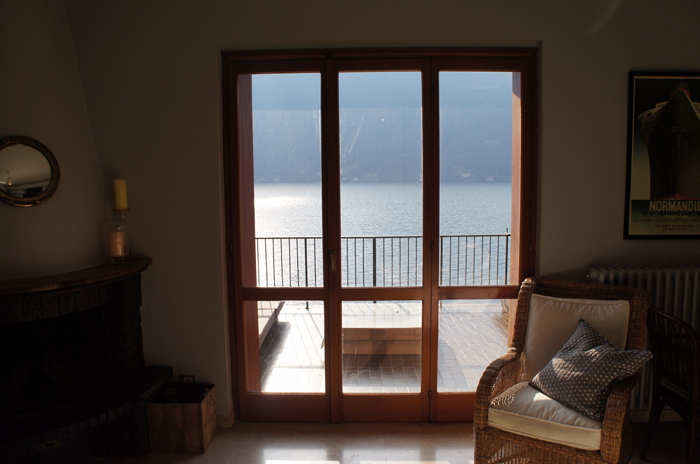 Large double doors open directly onto the outside space from the internal rooms offering wonderful internal light and beautiful views of the lake. 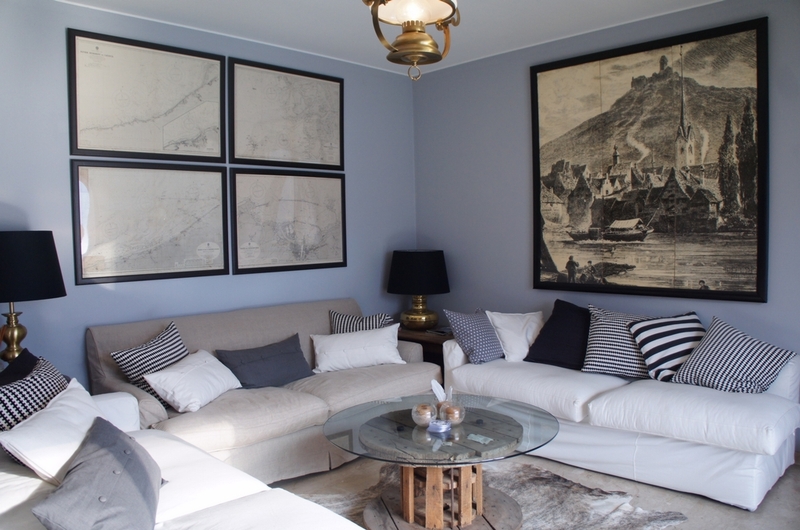 All the internal spaces have been refurbished beautifully with great attention to detail and high quality materials used throughout including clever use of in-built storage. 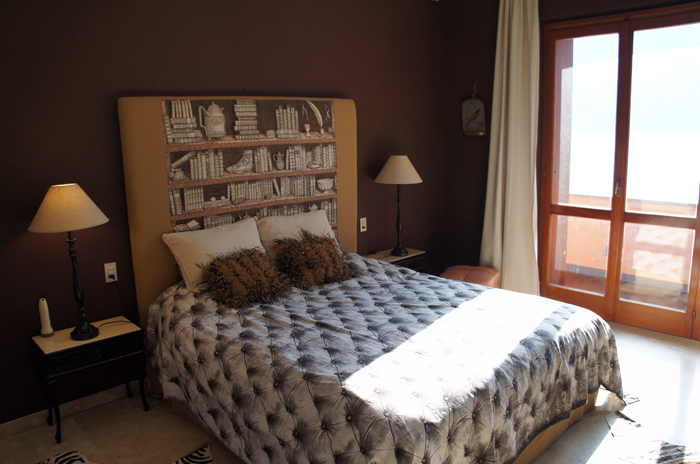 The apartment is sold fully furnished including the custom fittings and furnishings. 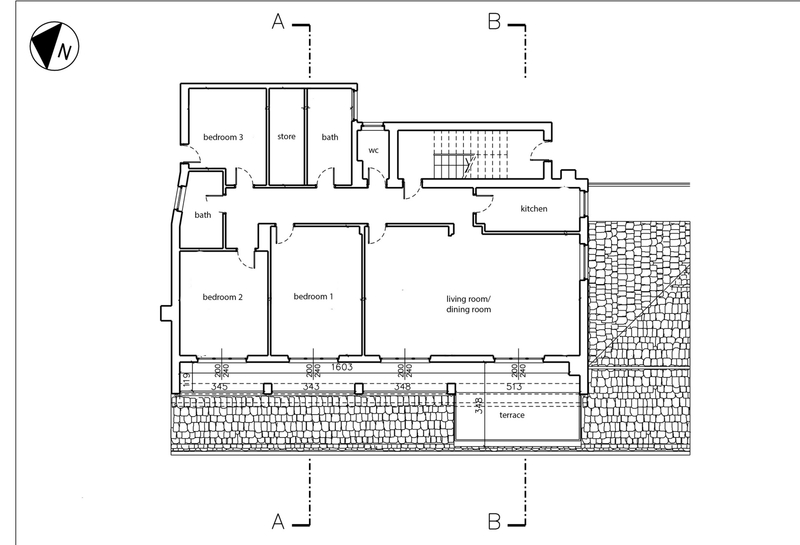 The current owners have drawn up plans to extend the current terrace over the whole width of the property and although these have not been submitted for planning approval and outline feasibility study was reviewed favourable by the commission. Externally the apartment shares the lakefront gardens with the remaining apartments. 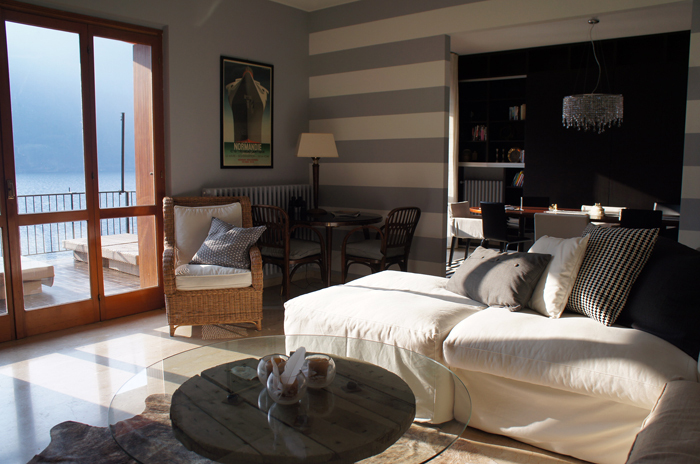 On the lakeshore one will find a huge sun terrace, generous boat house, slipway and small harbour. There are outline plans to build a jetty and extended moorings for additional boats. 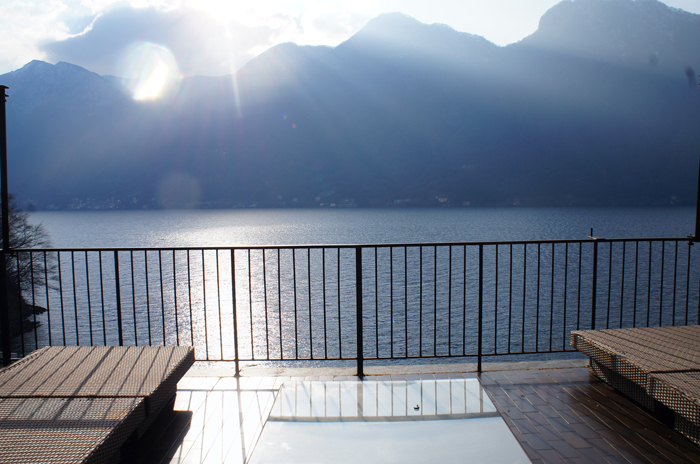 A lakefront path winds along the lake to a second terrace and swimming area positioned to take in the beautiful sunsets over Argegno. 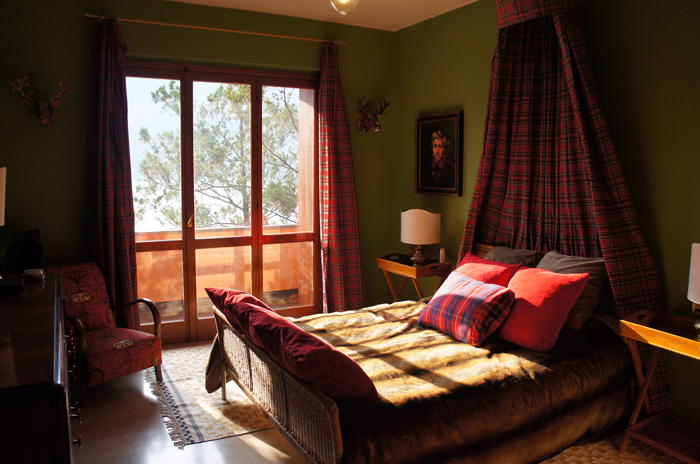 The property faces South West and benefits from the late afternoon and evening sun like few places on the lake. 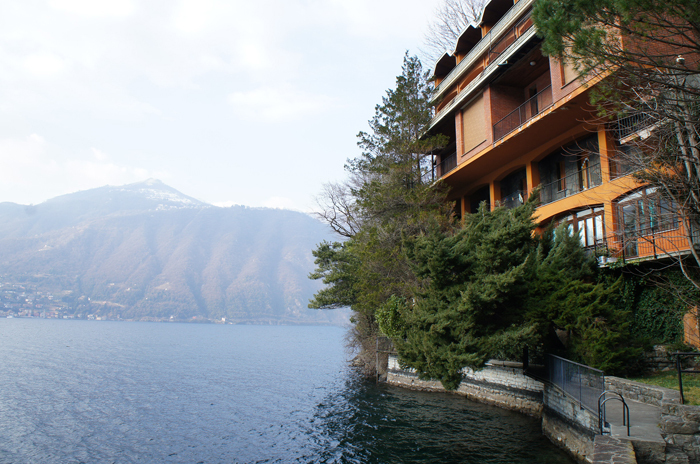 The property is just a 30minute drive from Como and a 15minute drive to the world famous village of Bellagio. 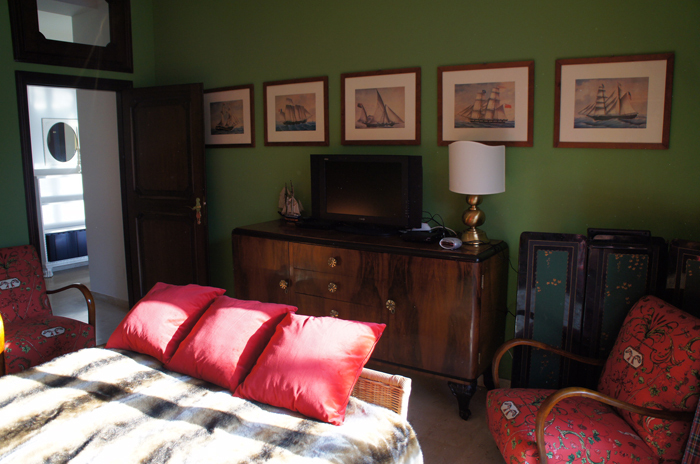 Nesso provides apartments & houses for sale on Lake Como in a typical old Village. 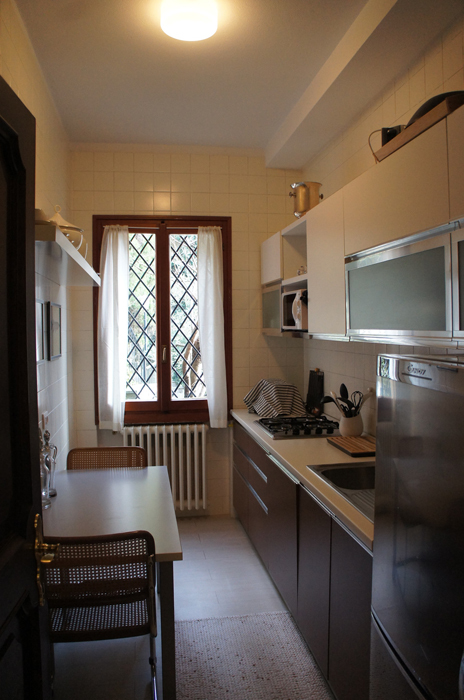 It is positioned on the east side of Lake Como, 15km from Como and Bellagio, offering a great base to explore the lake or the valley of the Pian di Tivano directly behind Nesso with its numerous opportunities for walking, biking and horse-riding. Local bars/ restaurants and local grocery stores are situated in central Nesso. 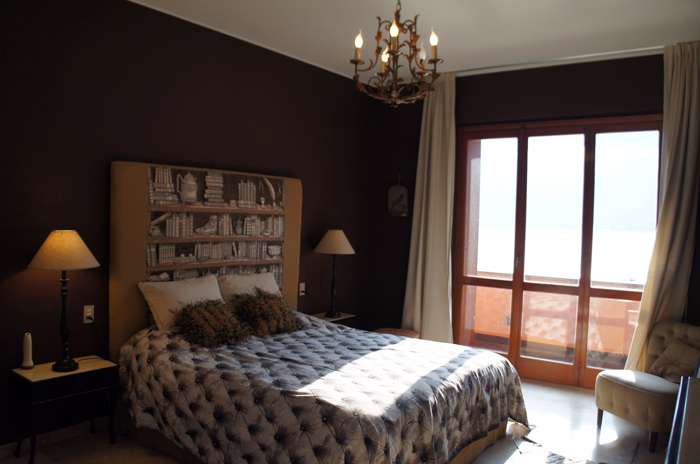 It is the ideal for the lovers of quiet and relaxation, surrounded by unique natural beauties.